Almost all companies are able to optimize their direct spend and have a very good control over them. The grey area lies in the ‘indirect spend’ of the company which is decentralized and is under the control of the several operating units of the business. What does ‘Indirect Spend’ include? ‘Indirect spend’ includes expenses required for the operation of each business unit. Each unit works with varied vendors and incurs costs ranging from consumables like pens and pencils to daily utilities to airplane travel, IT and other professional services. Each of the costs may seem like small amounts as against the costs incurred for production, however, when the costs of all the operating units are totaled, they sum up to huge amounts. Involves dealing with more and diverse suppliers : The number of suppliers dealt with by the several functional units is large and varied. Building in-depth relationships with each of them is a challenge. Average spends are smaller : The purchases under this category include varied items procured from different suppliers. As the volume is small, negotiating for better terms in the contract becomes difficult. Smaller purchases at frequent intervals : The volume of purchases at a single time is small but they have to be incurred at frequent intervals. If the control over this is maintained manually then it will need more resources. More internal stakeholders involved : Procurement finds it easy to manage ‘direct spend’ as there is interaction with a few stakeholders in the manufacturing unit. Whereas in ‘indirect spend’ the number of purchasing stakeholders is larger and Procurement has no power and the mandate for control over them. Needs expertise in diverse areas : Indirect spend includes purchases as diverse as paper clips to light bills to catering and so on. Such a varied spread of purchases requires Procurement to be experts in diverse areas for their effective functioning. Not easy to evaluate : There are no laid down metrics and criteria for evaluating the indirect suppliers unlike the direct suppliers to whom they can be applied. Sometimes, the ERP system of the company is not able to capture the items that go under the indirect spend. Not given the priority : Control over the ‘direct spend’ often becomes the first priority of the management while that of ‘indirect spend’ is not given much importance. This is largely because of lack of volume visibility which in turn will come only if this area is given due priority by the management. The indirect spend items constitute 20% of the total company’s expenditure but involves about 80% of the company’s suppliers. With the introduction of automated financial solutions; control over these 80% of suppliers may become a feasible option and in turn managing ‘indirect spend’ will become easier. The decisions taken by an organization with respect to its supply chain procurement play an important role in deciding its success or failure. It is therefore, very vital for the company to ensure that all practices necessary for achieving efficiency in the supply chain management are effectively in place. If the organization is successful in eliminating the bottlenecks faced while acquiring the needed goods and services then alone will it be able to satisfy its customers. Sometimes, creating a robust supply chain may not be possible for an organization; in such cases it is advisable for them to outsource procurement requirements to a reliable outsourcing company. The first step towards making good decisions is standardizing the contract management system. 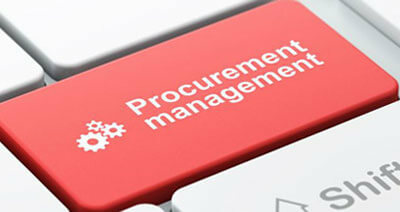 Anything that will streamline repetitive procedures will go a long way towards achieving efficiency in procurement. A contract management system proves helpful here. A standard contract template should be devised so that the time spent in drawing the same contract for different suppliers will be avoided. Provision should be available for making minor changes in it as and when needed. Use of latest technology will again help to make your decision faster. Automation is the keyword here; using automated tools will facilitate gathering data on the relevant suppliers in the quickest way possible. All manual tracking of the supply chain partners should be totally avoided. By using automated methods for obtaining the required information much of the time and effort is reduced. Strategic sourcing is the next step in this context. Sourcing refers to the various procurement practices followed to find and assess the relevant suppliers for procuring the required goods and services. Strategic sourcing refers to following a systematic approach to gathering and using data on such relevant suppliers. 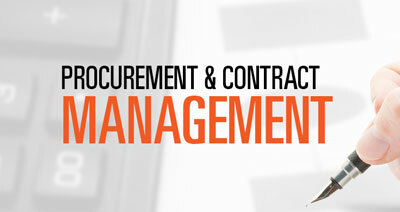 This helps the organization to leverage its purchasing power to get the best procurement deals in the market. Get multiple consultant on Strategic sourcing from low cost country. All the procedures relating to the procurement process should be clearly laid down. 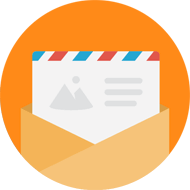 This will enable the suppliers to know how things operate in your organization and avoid time that may be spent in confusion over the related issues. All concerned employees of the supply chain management should be trained and made aware of what their responsibilities are regarding every aspect of the procurement process. This again will ensure that they take the best decision leading to greater efficiencies. Communication lines with the suppliers should also be constantly kept open. Improving the aspect of your business should be an ongoing process and any opportunity that will enhance its efficiency should not be missed. All ideas howsoever small have to be taken into consideration as they can do their bit in adding up to a more effective procurement process. Get in touch to a Procurement Solutions Consultant today to discover how low cost country procurement platform can help your organization to deliver and achieve significant savings.